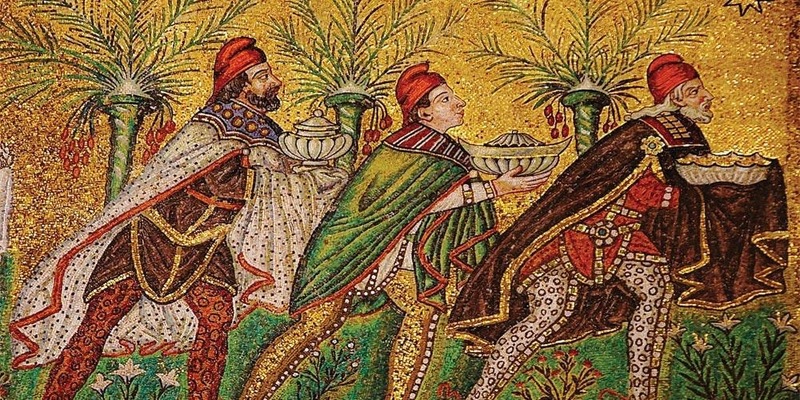 Today is the day the Church celebrates the Epiphany. Today, sage and sacred travelers, following a light, reach an unforeseen destination: a child who shines with the light of divinity. Those with wisdom practice the art of seeing God in the faces of others; so too did the Magi, having cultivated the skill of seeing, see in the holy child a presence of divinity surpassing any they’d seen before. And they marked him as a king with a gift of gold. They marked him as a priest with a gift of frankincense. They marked him as one fated for death, and significance in death, with a gift of myrrh. Truly, this is a child of unified contradictions. The babe is both human and deity. He is worthy to tend the craft of both throne and altar. He is newborn and marked for death. What other contradictions does the holy child have the power to unite? He will bridge love and justice by accomplishing peace; liberty for the oppressed by casting down the mighty from their seat, inheritance for the fatherless by bringing the human family into kinship with the heavenly, and sight for the blind by revealing to thirsty eyes the wellspring of divinity. Epiphany. God’s light shines here. God open my eyes to that light. Epiphany.